It is a rare pleasure to run into a design project that stuns in its intelligent simplicity. When the designers have had the wisdom, courage and tenacity to leave out everything that isn’t essential, everything that doesn’t belong. We crave this clarity and simplicity more today than ever. With the ever-increasing array of technology and tools everything can be made more complicated – even if the apparent intention is to make it simpler, clearer, easier or more convenient. And complicated is always easier than simple. It is so much easier and so tempting to just add one more thing. But by doing so, we confuse and inconvenience our audience and muddle our message, no matter what our medium. 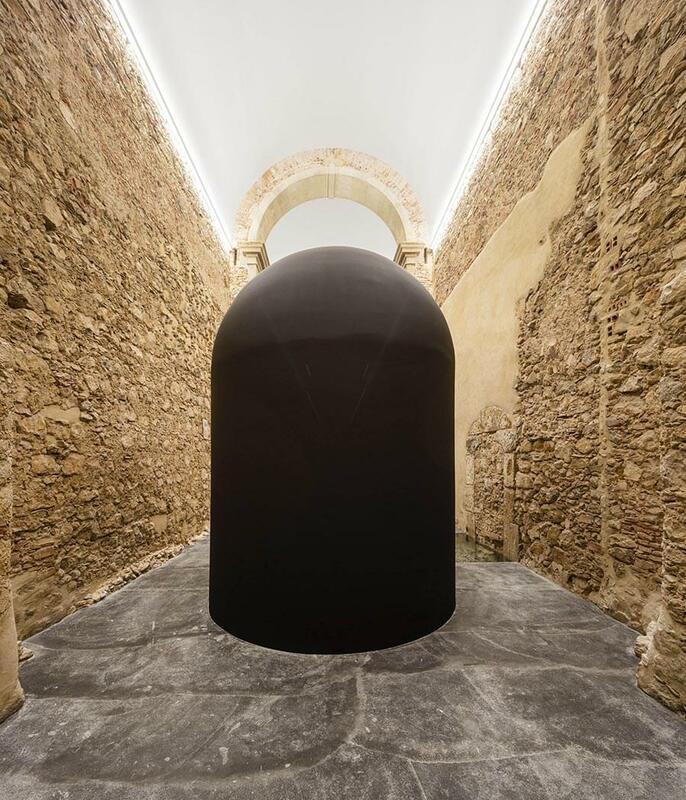 Architects Henrique Marques and Rui Dinis of Parades, Portugal-based spaceworkers® achieved the elusive stunningly elegant simplicity with their work for the Damião de Góis Museum (Museu Damião de Góis e das Vítimas da Inquisição) in Alenquer, Portugal. 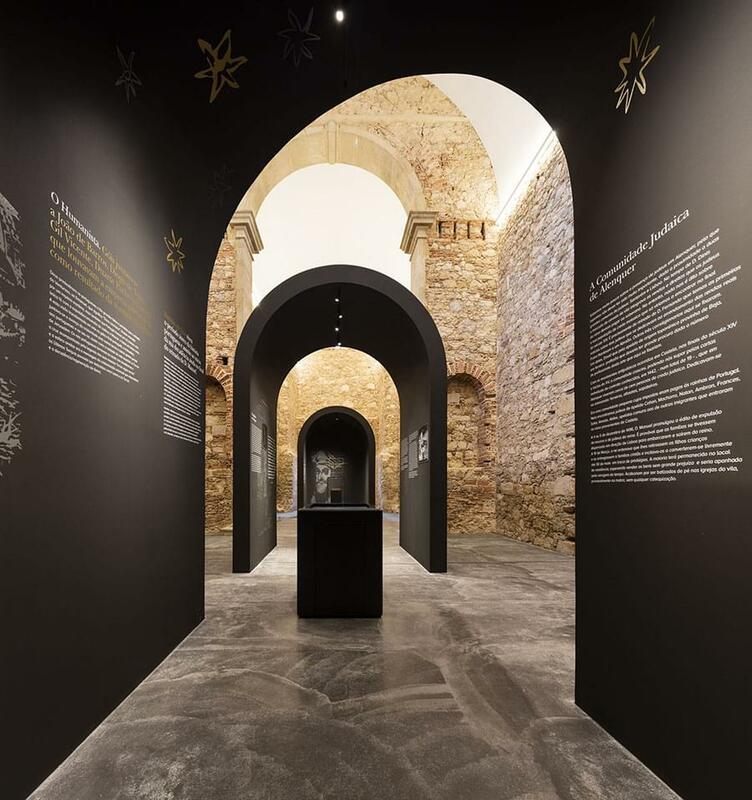 The museum is housed in the restored Church of our Lady of the Valley. 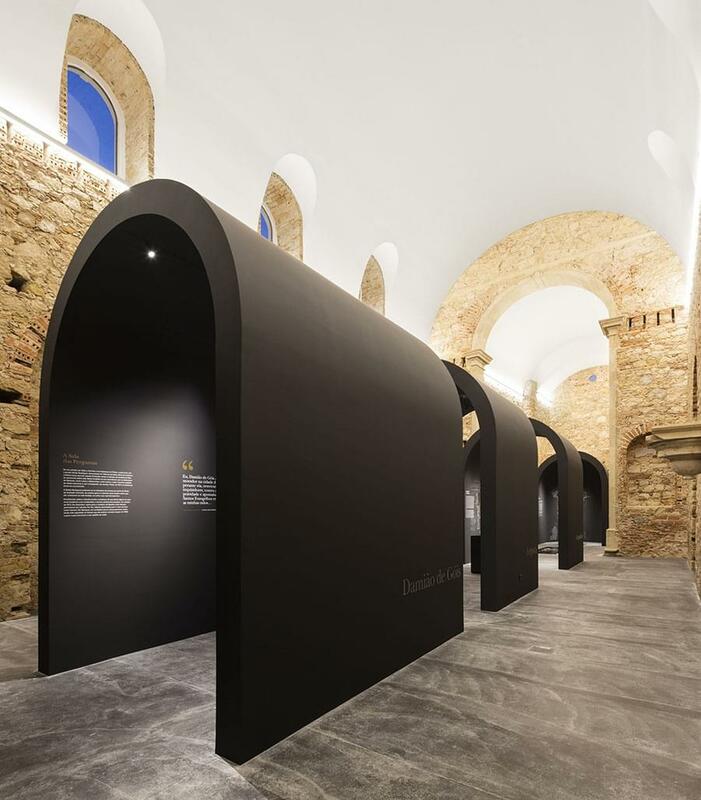 The architects decided to give the beautifully aged brick walls their due prominence and kept the exhibit panels away from them by creating a simple tunnel with a series of black arches. 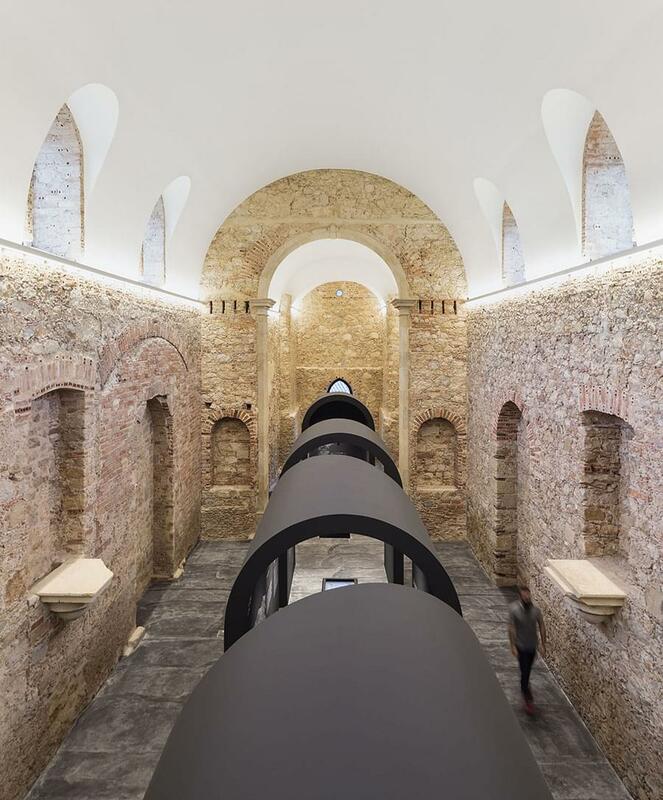 The sleek, matte black arches contrast with the surrounding surfaces without appearing glaringly modern or intrusive. 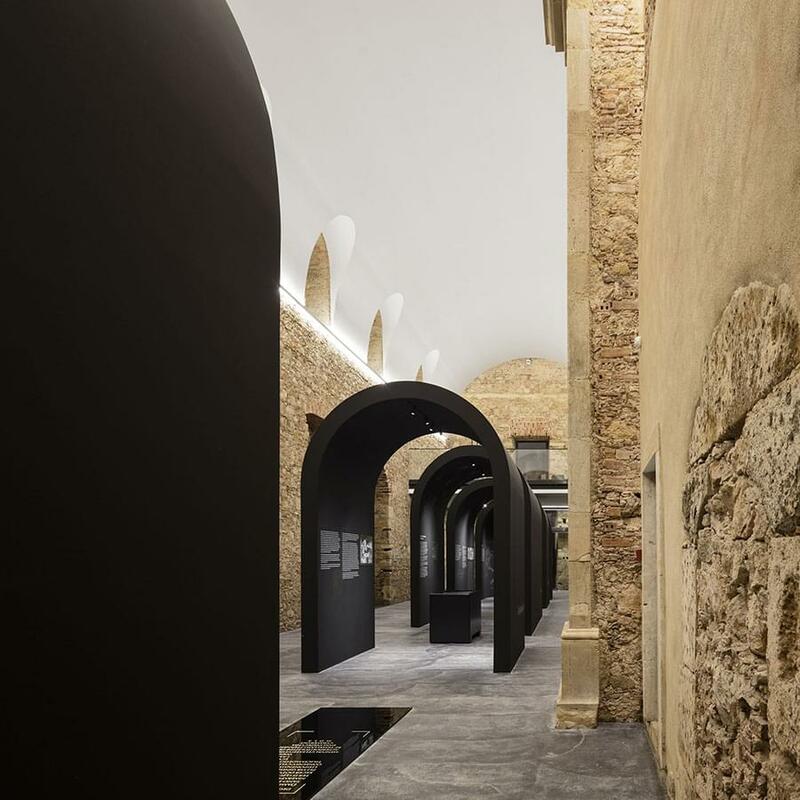 The arches seem to imply a route or a passage and they also have the feel of a protective canopy or container. The visitor never feels trapped in or constricted as daylight filters in through the openings between the panels. 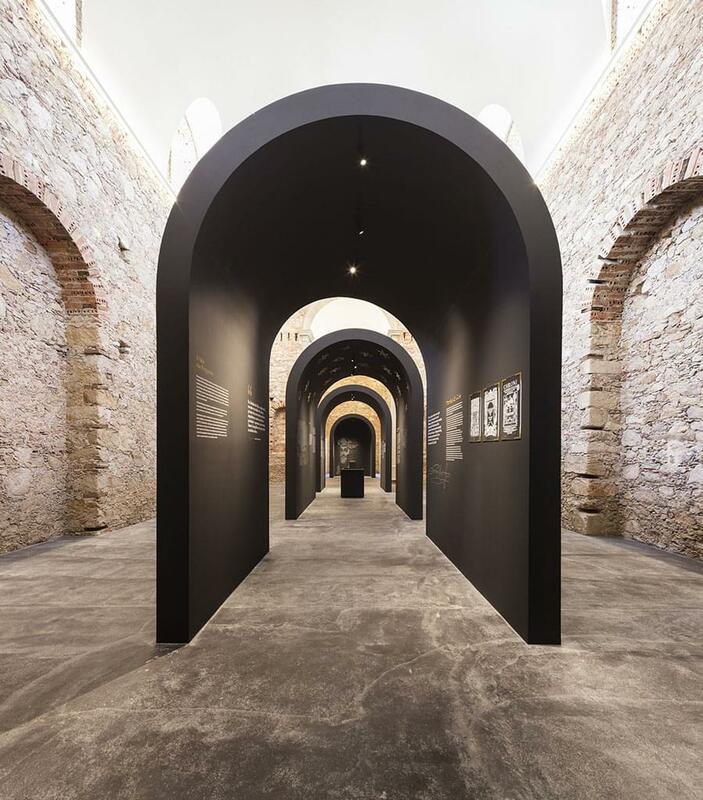 The new museum is dedicated to the 16th century life in Alenquer, to the Jewish community and the Inquisition, and specifically to the life and work of the Renaissance humanist and historian Damião de Góis who was born there. 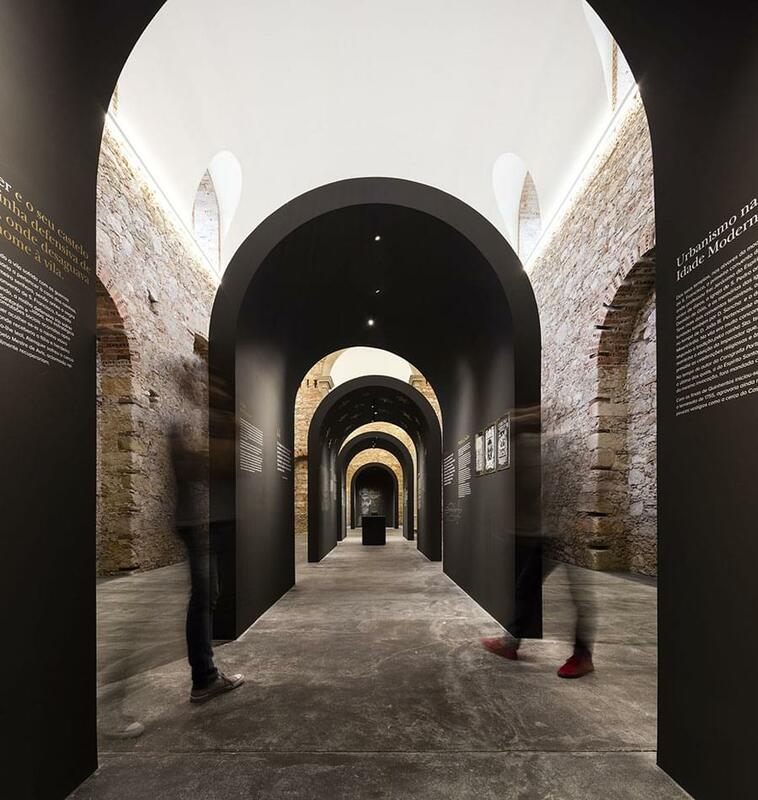 In addition to restoring and protecting the heritage of the area, the museum aims to increase tourism in the area especially from countries where de Góis travelled, including Belgium, Holland, France and Germany.